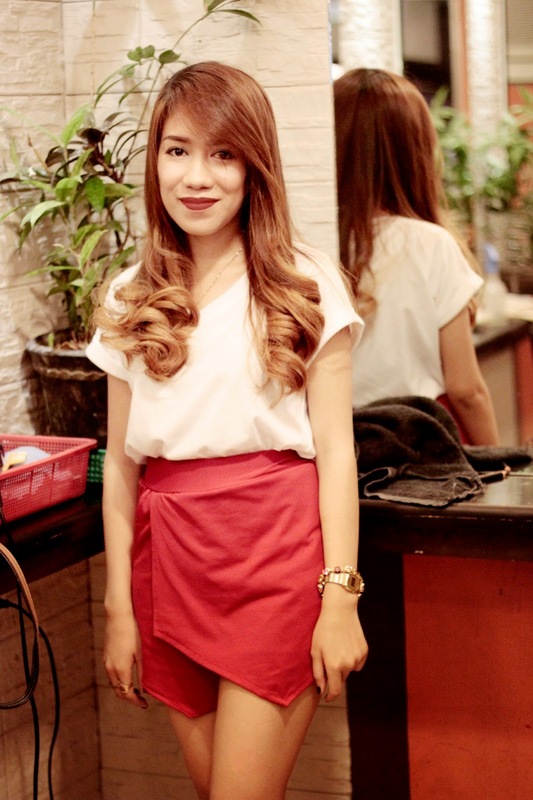 I have been wanting to post my Ombre Hair Story for quite a long time now. A lot have been asking: where I had it done, Did I do it myslef? did I bleach it? is it frizzy? how do I maintain/take care of my ombre hair? I had it done in the Salon few months ago, and I really love the result. 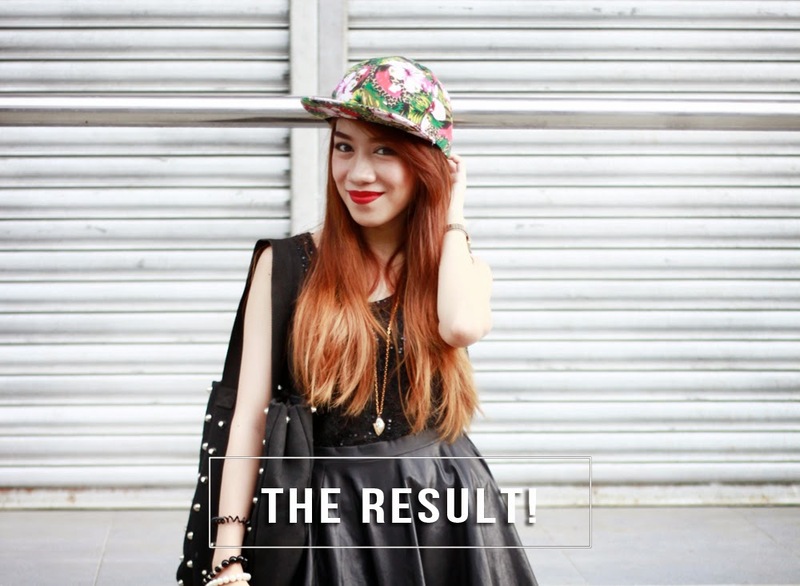 It's not a drastic change for me because I have my light brown hair for a few years already. I embraced my Ombre hair for almost a year. But if you have been following me on INSTAGRAM, you already know that I dyed my hair black few days ago (Click to see photo). I think it's time for me to go back to basics. But hey, that doesn't end my #HairStories Series, I will still be experimenting with my hair in the future! 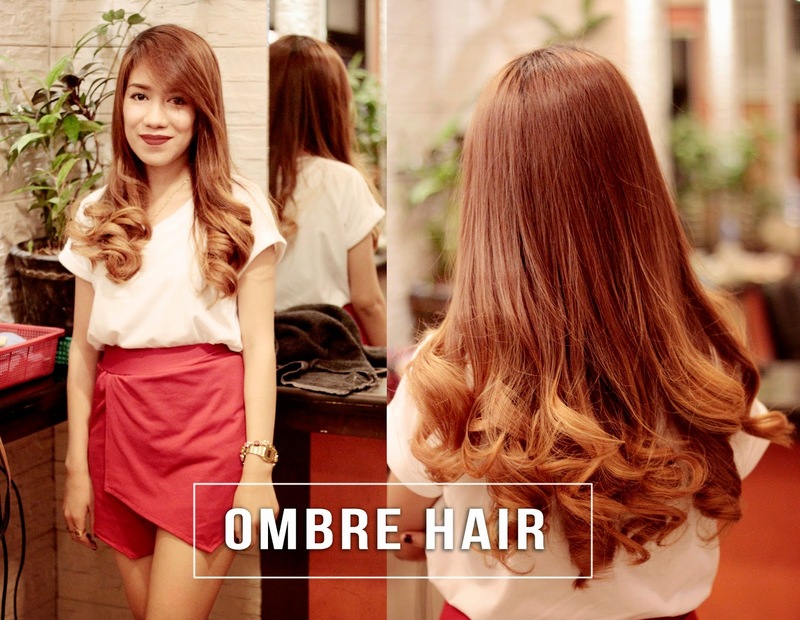 Enough with blabber, let's talk about OMBRE! 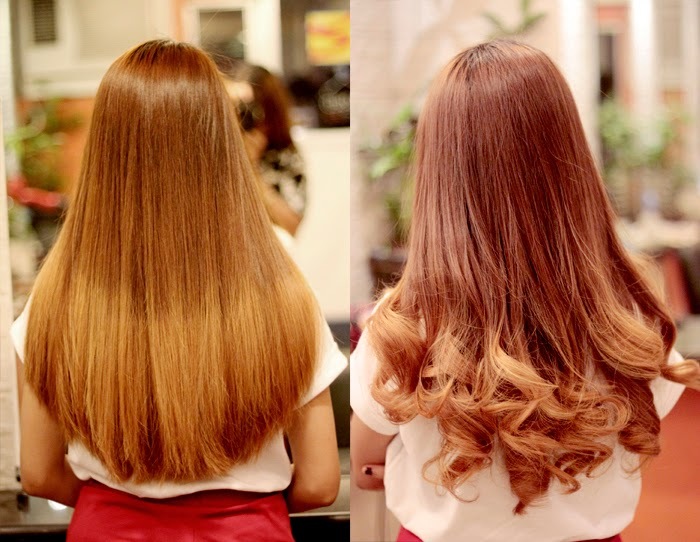 Ombre is a hair trend with darker/ natural hues at the roots and gradually-dyed lightening at the ends. Ombre hair has been seen on almost all the celebrities, Rihanna, Kim Kardashian, Emma Stone and even Jared Leto, these celebrities have sported the Ombre this year, only emphasizing that this dip-dyed hair trend is here to stay for a while. The stylist didn't use bleach to my hair, instead he used the lightest brown shade. I actually thought it's a good idea. I don't want my hair to have that very light to white blonde. He made the dye stayed for about 30 minutes or so. 1) Be confident about the salon you want to get it done from. 2) Trust only a trained professional as the technique is bit different than regular colouring (as I was told). 3) Pick a colour that suits your skin tone and the kind of wardrobe you have. 4) Again, don’t go for anything too shocking unless you can carry it. You can always go for safe choices, such as colours only 2-3 shades lighter than your natural hair, whatever that suits you. You can also test the colour by applying it on a streak of hair and then go for it if you’re convinced with the shade. 5) Use quality products, trusted brands. 6) Do get the products your stylist suggests to use after getting your hair coloured to maintain your hair quality and the colour. If you still have any further querries/ views, please do post a comment here or drop me a mail. amazing style! :)you look so good right now!